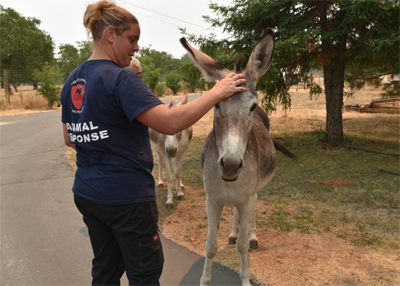 If you’re like me, you think of the animals left behind during disasters. It’s not always a sad story, and some of these rescue images may bring happy tears to your eyes. 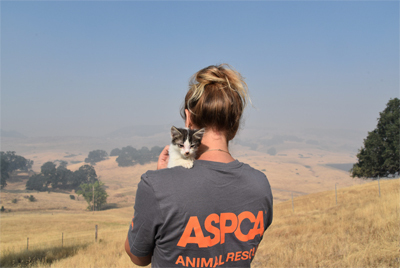 The ASPCA is assisting local agencies with field rescues and emergency sheltering for animals affected by wildfires in Lake and Mendocino counties. Lake County Animal Care & Control and its animal disaster response team Lake Evacuation & Animal Protection (LEAP) requested the assistance. LEAP and ASPCA responders have been checking individual residences for pets and livestock, and providing food and water for animals during wellness checks requested by pet owners. In Lake and Mendocino counties, the ASPCA has assisted nearly 50 animals, including cats, dogs, birds and livestock. 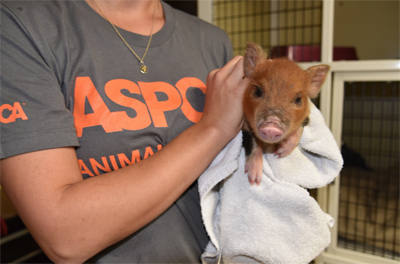 This assistance from the ASPCA is possible through support from Lewyt Rescue Fund. 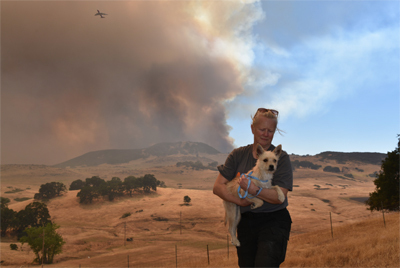 “Rescuing animals in desperate need of assistance during emergency situations like the wildfires burning through California is exactly why the Lewyt Rescue Fund was established,” said Wendy McColgan and Thomas Amlicke, trustees of the Alex and Elisabeth Lewyt Charitable Trust. In Northern California, the ASPCA has assisted more than 2,500 animals affected by the wildfires. 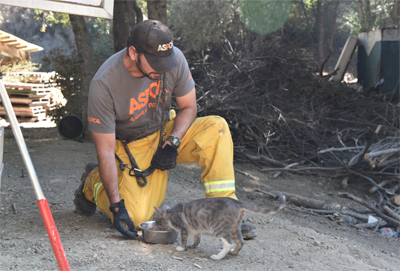 Consider helping the ASPCA with their wildfire disaster response efforts. Images provided by the ASPCA.